*By special request from Eating Through TO we’ve added a BONUS Friday date this week to the Pizza Crawl! Eating Through TO will be offering the Toronto West Pizza Crawl! similar to our #FoodieFriday tour created with Toronto Common. 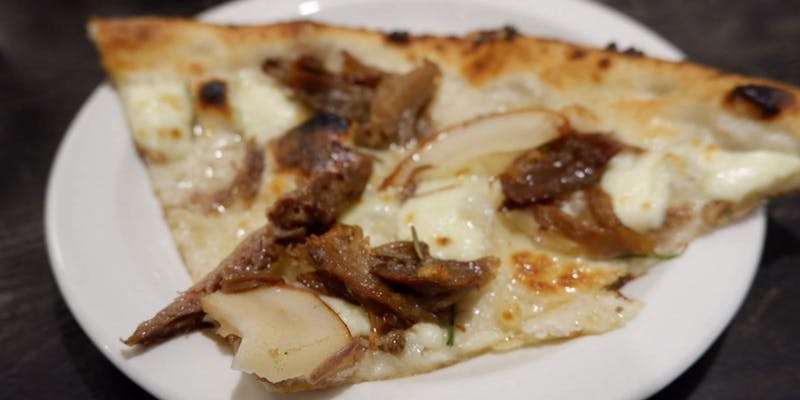 We'll be visiting 5 of Toronto's most popular pizzerias in the west end and exploring some of pizza's more unique and sometimes controversial toppings. Class up your weekend with Toronto Common and New World Wine Tours who will be offering a Wine and Cheese Tasting with Certified Sommelier Mackenzie Putici. Step into a member's only wine club to learn all about small-batch Ontario wines. Learn to taste like a professional sommelier, and what to look for to identify the main grapes grown in the region. Pair Canadian cheeses with your wine and see why some taste better than others depending on what you are drinking. 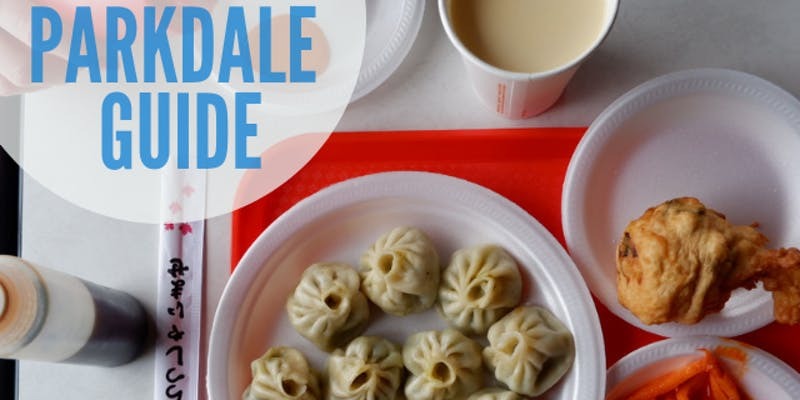 In celebration of the launch of their NEW Parkdale Neighbourhood Guide (and YouTube video) Eating Through TO will be offering a one-time food crawl through Parkdale with Toronto Common. The tour will consist of 5 food or drink tastings along Queen St. West in Parkdale. We'll be tasting baked goods, Tibetan food, tacos, Tiki Cocktails, and more! Join New World Wine Tours for this one weekend of Maple in The County! On this special tour we will pick you up in Toronto and take you to Prince Edward County where you will learn all about the maple harvest and production. We'll visit two sugarbushes where you can see the maple harvest in action and taste all sorts of maple goodies. Next we'll stop in at Closson Chase winery for wine tasting and lunch. See the charming town of Wellington where you can shop, sip coffee, or drop in at Midtown Brewery. We'll finish our day with a maple cocktail class at Kinsip Distillery where you will be able to taste vodka, gin, whisky and more. Not to mention the whisky cask-aged maple syrup and the maple whisky. You'll have more maple than you ever thought possible. Eating Through TO is continuing their fun, all Ontario Craft Beer Tasting series with Toronto Common! @EatingThroughTO's knowledgeable team of food & drink experts will be guiding us through 8 different styles of Craft Beers, all from Ontario, with a few nibbles in this fun, and informative tasting! Eating Through TO is continuing their fun cocktail making workshop with Toronto Common with 3 additional events! Launched as part of our Foodie Friday series, Eating Through TO's Cocktail Making Workshop is a fun and interactive way to learn about the art of cocktail making. Toronto food tour company @EatingThroughTO has a team of knowledgeable food & drink experts including a professional mixologist. Toronto Common + Eating Through TO are continuing our #FoodieFriday collaboration for the month of February, this time starting in the evening for a fun series of tasting tours + drink events! A Craft Beer Tasting has been on our list for awhile and thanks to @EatingThroughTO's knowledgeable team of food & drink experts and their access to the Fine Wine Reserve's private tasting room through their sister company New World Wine Tours we're offering a Craft Beer Tasting for #FoodieFriday. Learn and taste 8 different styles of Craft Beers, all from Ontario, with a few nibbles in this fun, and informative tasting! This week we're taking #FoodieFriday to new territory with a fun cocktail making workshop! Toronto food tour company @EatingThroughTO has a team of knowledgeable food & drink experts including a professional mixologist and access to the Fine Wine Reserve's private tasting room through their sister company New World Wine Tours! We'll be starting with a welcome cocktail, mixing up 3 cocktails, and learning about spirits in this guided, hands-on cocktail making workshop, with a few nibbles on this interactive #FoodieFriday! #FoodieFriday is a fun way for us to explore new food around the city and we're collaborating with Toronto food tour company @EatingThroughTO to offer a series of tasty tours on a different theme each Friday in February, starting with 2 part Fried Chicken tour! We'll be trying some popular styles of Asian Fried Chicken along Yonge St including different styles of Taiwanese, Korean, and Japanese fried chicken, followed by Western styles of Fried Chicken the following week (separate ticket). The 2nd part of our fried chicken tour will be exploring popular fried chicken styles in the West including Nashville Hot Chicken, Schnitzel, and Wings. Toronto Common is partnering with @EatingThroughTO for our popular #FoodieFriday series in January to offer a fun series of tasting tours + dinners! We'll be visiting 4 popular Toronto ramen shops and trying a variety of different styles of ramen including Tsukemen, Shio, Shoyu, Tonkotsu, Spicy Tan Tan, and Curry with a few sides thrown in. By popular request, Toronto Common and Eating Through TO will be offering a food tour similar to our #FoodieFriday tour every Sunday in February, March, and April including a variation of our popular Toronto West Pizza Crawl! By popular request, Toronto Common and Eating Through TO will be offering a food tour similar to our #FoodieFriday tour every Sunday in February, March, and April including our popular Dumpling & Bubble Tea Crawl! We'll be visiting 5 restaurants in Chinatown, all serving a different style of Chinese dumpling from Soup Dumplings to Potstickers to some dim sum favourites plus some of our favourite bubble tea spots. We'll be visiting 6 of Toronto's most popular pizzerias in the west end and exploring some of pizza's more controversial toppings. Toronto Common is partnering with Montecito to offer a Very Canadian Whisky Tasting with Spencer Gooderham of the Gooderham family. Spencer will be guiding us through 4 uniquely Canadian expressions and Montecito will be offering a selection of local charcuterie, cheeses + snacks as well as a feature welcome cocktail with Lot 40. Toronto Common is partnering with Montecito to offer a Rare Canadian Whisky Tasting of the 2018 Northern Border Rare Range with Spencer Gooderham of the Gooderham family. Our tasting guide, Spencer Gooderham’s family legacy in whisky dates back seven generations to William Gooderham. Spencer will be guiding us through 4 rare expressions from the Northern Border Rare Range, only available in select LCBOs. Mrs Robinson is inviting Toronto Common to a special tasting of their new menu, with the option to include a House Cocktail, plus live music (starting at 8pm). Executive Chef Kwasi Douglas, Da Rasta Chef from Master Chef (Season 2), wants you to experience his Neo-Soul cuisine with a mix of traditional ingredients and flavours with a modern twist. MoRoCo Chocolat and Toronto Common want to make it easier to enjoy the outdoors this summer with our first picnic series! MoRoCo’s Afternoon Tea To Go has already been featured by Mark McEwan and is everything you want in a high tea packed for a day with friends at home or out at the park. Our guests will enjoy a 4 Mini Milkshake tasting at MoRoCo (standing room only) while they select their Macarons and Truffles.